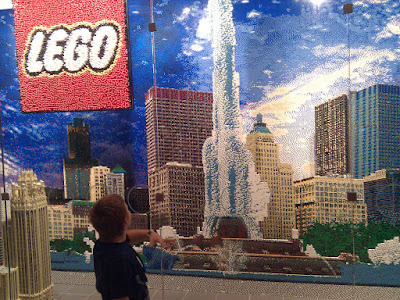 Saying that our family is full of Lego fanatics is an understatement. 3 generations of Lego Brickmaster's requires it... 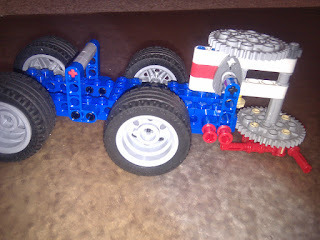 Although I never grew up with Lego's, I now appreciate the lessons our son learns through playing and working with Lego's. 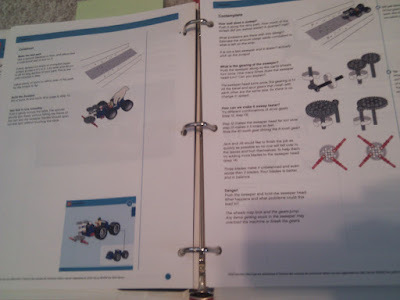 Lego has a branch called "Lego Education" which I have come to love. You can get complete sets, with teacher manuals, lessons plans and a variety of activities. 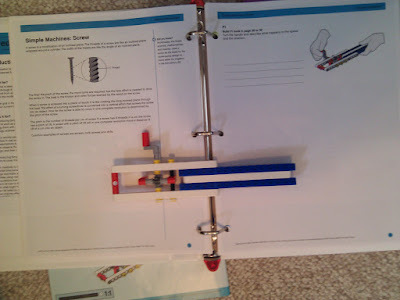 It even makes teaching Lego engineering and physics easy for a Non-Brickmaster like myself. 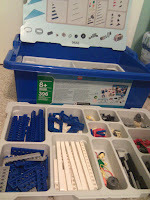 If your child has any interest in Lego's I would suggest you check out how you can use Lego in your educational journey. Even if you don't buy Lego Education sets, there are a lot of free activities online as well as our posts here. Happy Building!!! 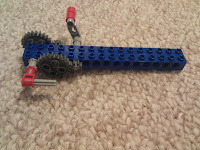 Today we pulled out one the of Lego Education Kits and looked for something interesting to build. Taka' found the "Sweeper" exercise and we began. 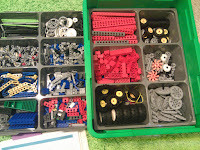 As always I LOVE LOVE LOVE Lego Education for the math. Taka first learned about ratio's and percentages thru Lego Ed and continues to strengthen his understanding of fractions thru Lego today. 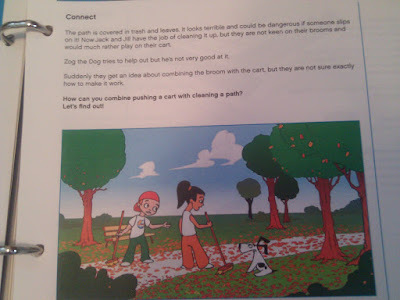 Today's challenge was to help Jack and Jill clean up the park. They had a cart and brooms and wanted to have fun doing it, quickly. 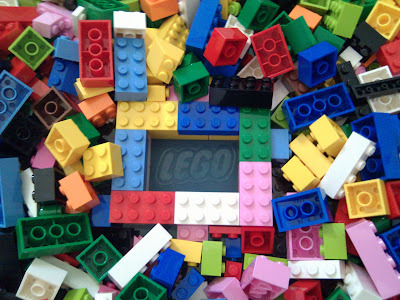 The Lego Ed kits comes with the full story, build instructions and ideas for making changes. 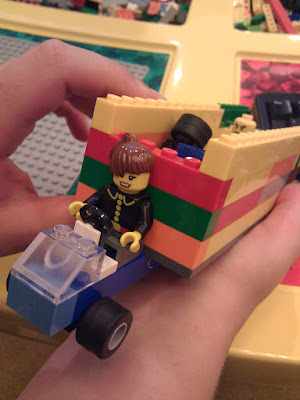 We almost always do the Lego ideas and then Taka will spend an hour or so making his own modifications. By maiing the changes in the drive and driven gears and letting the kiddo's play with each version they really "get" what the differences are in the ratios. I love it when learning is so easy and it's always great fun! Below you will find our little video of the sweeper doing it's job. 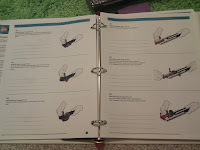 I also took a few pictures of the story line and "teacher" pages in case someone is wondering what they look like. 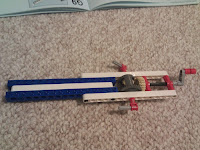 Taka' decided it was time to dig back into one of his Lego Education kits. Today he decided to build the Click Clock. It's a gear and weight powered clock. This is a really neat lesson and keeps pretty good time. 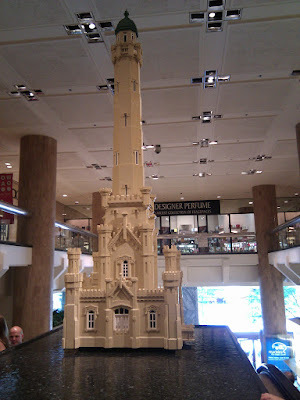 Last week we went to visit the Lego Store in Water Tower Place. They were having a Grand Re-Opening and Lego Event at the store so we decided to go check it out. 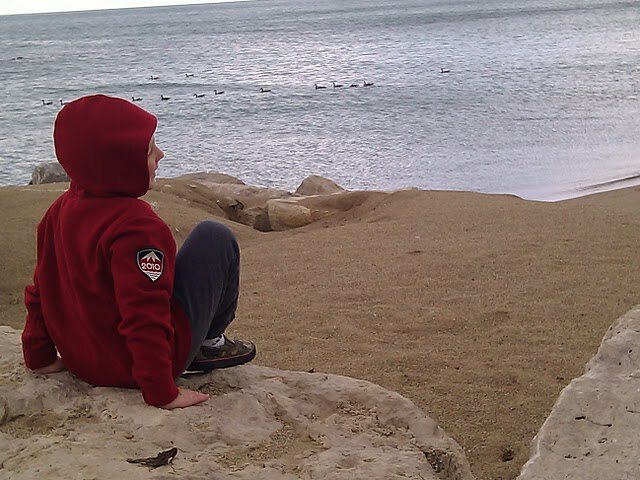 It was pretty cool and we had a great time. I was surprised at how organized it was and how many building stations they had for the kiddos. I was even MORE surprised to see a couple of Lego Education kits in the store. Taka was able to have a little chat with the Lego Master Builder on site for the event, spent about an hour building and ended the trip by announcing "I'm hungry". It was a great day for Taka and Lego! This week Taka decided he wanted to work with one of his Lego Education kits. He quickly threw together some pulleys, motors, gears and more and gave me a lesson on the difference between a drive wheel and a driven wheel. 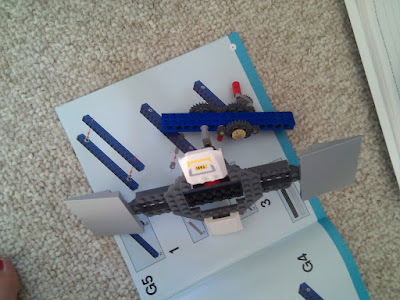 Today he built a "Nasa" satellite and created a mechanism to turn it. It's pretty neat and works brilliantly. 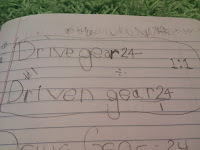 I had to laugh when he began to tell me about the way he uses effort to move the drive wheel, which in turn moves the driven wheels, etc., etc., etc. to make the satellite spin. It's so cool to know he's "got it". Today was the first sunny day we've had in awhile and Taka' really wanted to build something and power it with solar energy. 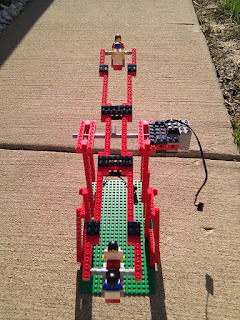 So we pulled out our Lego Education Renewable Energy kit and found the solar powered ferris wheel - SCORE! He had it all put together in about 20 minutes. We took it outside to see if solar cell would really work. Guess what - IT DID! - Blocking the sun from the solar cell with different materials, shapes and shadows. 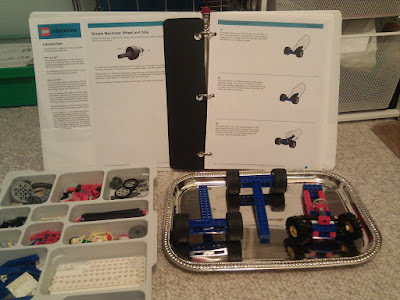 Today Taka' finished his last "Simple Machine" lesson in lego Education. The last lesson in this series was the screw. 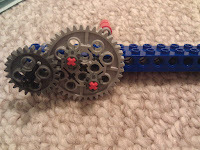 Taka quickly built the screw mechanism and then began to transform it with gears, pulleys and other things. At one point he exclaimed "Look! It's an inclined plane!" and it was. He's learned so much from this series and I would encourage everyone to explore simple machines in whatever way you like. This week we are studying Pulley's. 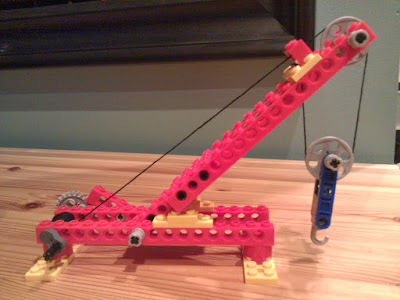 We've been using our Lego Education set along with our other pieces to build every type of pulley imaginable. 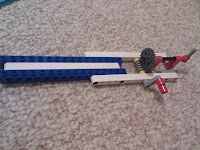 I'm also leading a Pulley lesson with our homeschool group this week so I picked up a few Lego Pulley sets (9614) on the cheap. These "mini-sets" are quite nice for group lessons. This way everyone has the same materials (bricks, colors, etc.) to work with. We will also do 2 experiments with life sized pulleys. 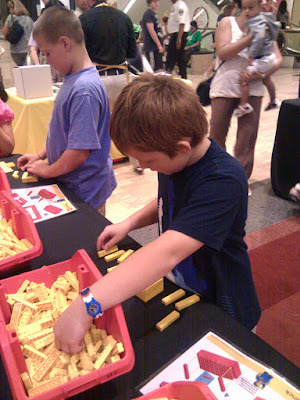 Once again, I found a great pulley experiment on COSI's website. I also found Peter Valdivia's website to be of great help in talking about pulley's with Takayiyo. Earlier this week we did another Lego Education lesson. This lesson was Wheels and Axels. Takayiyo built 3 different axel types and was able to compare the differences and what impact they had on the model. Axel #1 was a single solid axel connecting both tires. Axel #2 was a small straight axel, one per tire, connected to the same "beam". Axel #3 had an axel per tire, connected to a drive train. 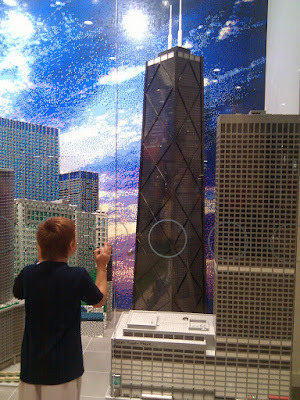 Who knew that building with Lego's was so much fun. Today we learned about Levers using Lego's. We were able to build a Lever and Fulcrum with lego's and test the differences between first class, second class, and third class levers.